University and industry scientists across the region are tapping a new resource at UNL designed to strengthen the nation’s nanoscience research. UNL became home to the Nebraska Nanoscale Facility, a center of excellence in nanoscience and nanotechnology, in fall 2015. A nearly $3.5 million grant from the National Science Foundation funds the center, one of only 16 nationwide that constitute the National Nanotechnology Coordinated Infrastructure. The center builds on UNL’s highly regarded reputation in materials and nanoscience research. 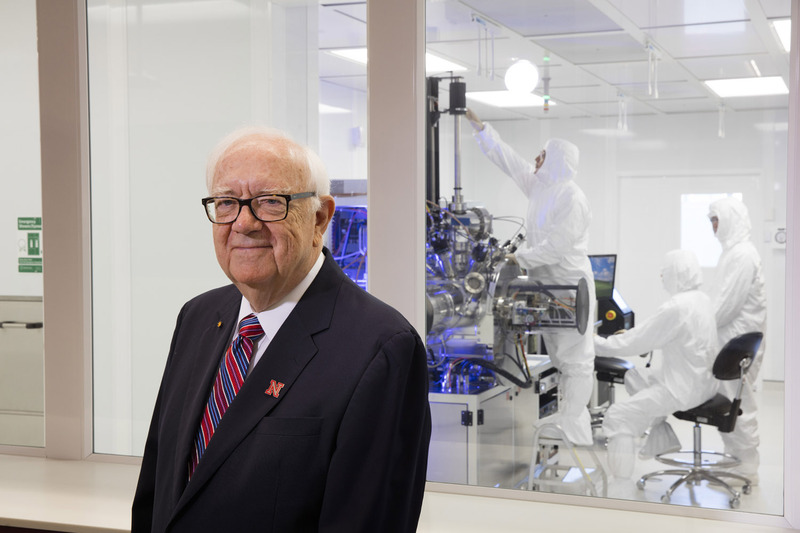 While state-of-the-art facilities have helped UNL researchers make significant contributions to nanotechnology advancements, the university previously had limited capacity to serve researchers and industries beyond UNL, he said. The new center uses shared laboratory facilities and specialized equipment, principally housed in UNL’s Voelte-Keegan Nanoscience Research Center, which opened in 2012. Through the center, UNL makes instrumentation and technical support available to researchers from neighboring universities, companies and others. It has added personnel, purchased new equipment and is offering workshops and mini-courses to introduce visiting scientists to available resources. Bolstering nanoscience and nanotechnology strengthens regional and national research collaborations and contributes to economic development throughout the U.S., Sellmyer said. The facility reinforces the university’s materials and nanoscience programs and centers, including the Nebraska Center for Materials and Nanoscience; the NSF-funded Materials Research Science and Engineering Center; the Center for NanoFerroic Devices, funded by the Semiconductor Research Corp. and the National Institute of Standards and Technology; the National Strategic Research Institute, which partners with USSTRATCOM; and others.